Rail technology leader Bombardier Transportation has announced two contracts for its BOMBARDIER INNOVIA Monorail 300 system for two mass rapid transit lines in Bangkok. This will improve the commute for more than 400,000 people – every day. The contracts are with the Northern Bangkok Monorail Co. Ltd. (NBM) and the Eastern Bangkok Monorail Co. Ltd. (EBM), responsible for the turnkey construction and 30-year concession of the new, elevated lines. Operating in the city’s northern and eastern areas, the monorails will integrate with the existing transportation network and run at speeds up to 80 km/h with a maximum capacity of over 28,000 passengers per-hour, per-direction. Backed by over 25 years of experience and over 600 vehicles ordered or operating in six locations worldwide, Bombardier’s INNOVIA Monorail 300 system provides a cost-effective and attractive solution for growing cities. 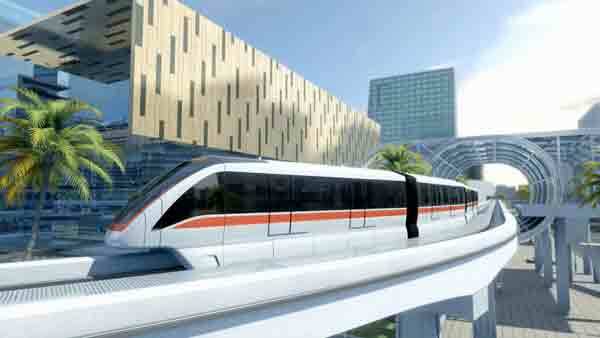 Project delivery, system integration and rail control solution design and implementation will be led from Bombardier’s regional hub in Bangkok. The INNOVIA trainsets will be manufactured at the Bombardier Joint-Venture Puzhen Bombardier Transportation Systems (PBTS) in China, working with Bombardier’s global Monorail Product and Engineering Experts. Since establishing its Bangkok site in 1997, Bombardier has grown its local team to over 450, working on transportation needs for Thailand, Asia Pacific and globally. Bombardier is also committed to the development of Thailand’s future talent and is working with two universities on Railway Engineering Degree programmes.